The right of the people to be secure in their persons, houses, papers and effects, against unreasonable searches and seizures, shall not be violated, and no warrants shall issue, but upon probable cause, supported by oath or affirmation, and particularly describing the place to be searched, and the persons or things to be seized. The Fourth Amendment, however, isn’t a guarantee against all searches and seizures, but only those that are deemed unreasonable under the law. So how do courts determine if a search and seizure was unreasonable? That decision is determined by what type of encounter occurred between the police and citizen. Encounters between police and citizens take three basic forms: consensual encounter, investigative detention, and arrest. A consensual encounter is the most frequent interaction between police and citizens. Just like any other ordinary citizen, police are free to speak with anyone they choose. These interactions can take place practically anywhere; for example, in line at coffee shops, restaurants, or when an officer strikes up a conversation with someone in a parking lot. No evidence of any crime is needed for an officer to initiate a consensual encounter, and the encounter can be terminated at any time by either party. This means that the citizen is free to leave, refuse to answer any questions, and decline to identify themselves. If an officer restrains the citizen’s movement by directing them to a different location, turns on the cruiser’s overhead lights or intimidates the citizen through some show of force (e.g., multiple officers), then the encounter is likely not a consensual encounter but rather is a detention. An investigative detention is often called a “Terry stop” because the legal authority to make such stops was established in Terry v. Ohio, a 1968 United States Supreme Court case. Terry permits an officer to make a brief investigatory stop to confirm or dispel her suspicions that criminal activity is afoot. Unlike with consensual encounters, an officer isn’t permitted to conduct an investigative detention of a citizen unless the officer has a “reasonable suspicion,” based upon specific and articulable facts, that a person has committed, is committing or is about to commit a crime. A “Terry stop” may not be based on “mere suspicion” or a “hunch.” It must be supported by facts and observations that the officer can articulate as likely criminal behavior based on his training and experience. Unlike with consensual encounters, a citizen who is being detained isn’t free to leave or disengage with the officer. However, it’s often difficult to determine if the police-citizen encounter was a “Terry stop” or a consensual encounter. It is because of this that this issue is frequently litigated by San Diego criminal lawyers, who challenge the legality of the stop by filing a motion to suppress the evidence pursuant to Penal Code section 1538.5 because they believe the officer didn’t have the requisite reasonable suspicion to legally justify it. 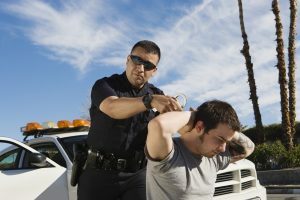 An arrest requires “probable cause,” which means simply that the officer has reason to believe that a crime has been committed and the person to be taken into custody committed it. With an arrest, the citizen obviously isn’t allowed to leave and can be searched without additional probable cause. This is called “a search incident to arrest.” Additionally, a search of the area around the arrested person for weapons and evidence may be permitted without additional probable cause. Is parking in the poorly-lit section of a convenience store where the officer knew about previous thefts sufficient to establish reasonable suspicion?